Rabbi Gavri'el Moreno-Bryars MTh and his wife Dee Dee were married in 1984. They have 2 children: a daughter, Hadasha (Cassandra), and son Gavri'el (Andy). 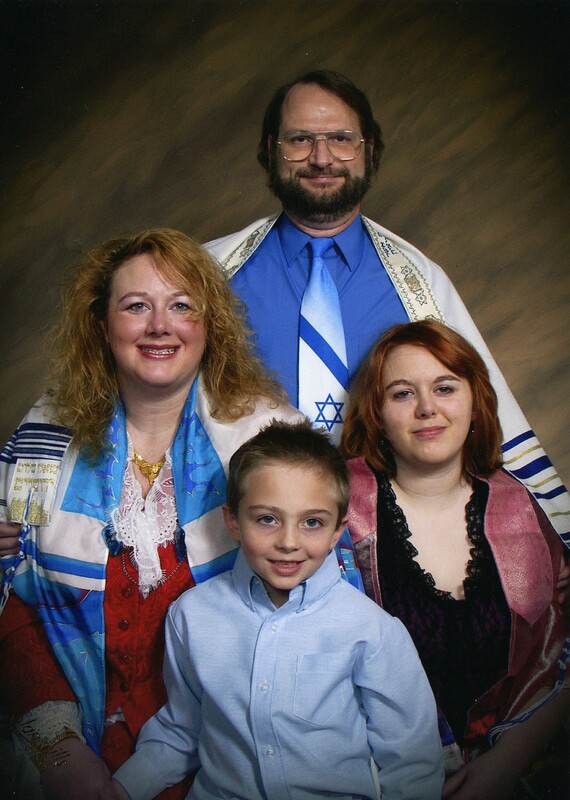 In 1992, G-d sent Gavri'el & his family to Middle East for 3 years. While there, Gavri'el had a radical encounter with the Messiah; life took-on new meaning. Returning to the US, G-d lead him to the prison and biker ministries. In 1997, the future focus of ministry began with the celebration/teaching of Pesach (Passover). Gavri'el was called to the Messianic Movement in 2001, with the founding of Yeshua Ha’Mashiach Ministries. Congregation Beth Ha’Mashiach began in the spring of 2003. Rabbi Gavri'el is a graduate of MBI Yeshiva with a Masters in Messianic Theology. Gavri'el's Jewish heritage is through his grandmother (Sephardic). D'vorah (Dee Dee) was raised in a believing home where she thought she was saved. Adonai used a wonderful evangelical Australian friend to guide her to the real saving faith of Yeshua in 1995. D'vorah Bryars - Chairman of the Board. See above for more info.